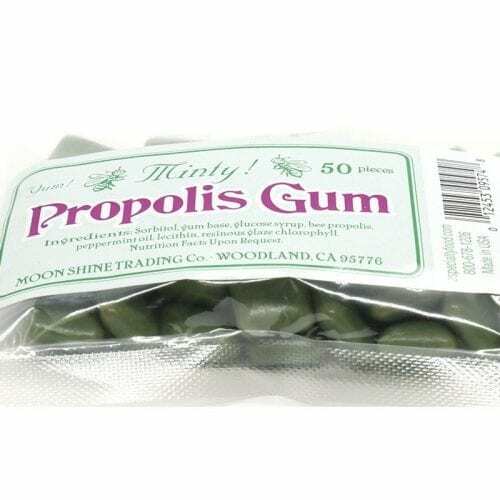 Moon Shine Trading Company propolis chewing gum has a pleasant peppermint flavor along with the bold taste of active propolis. 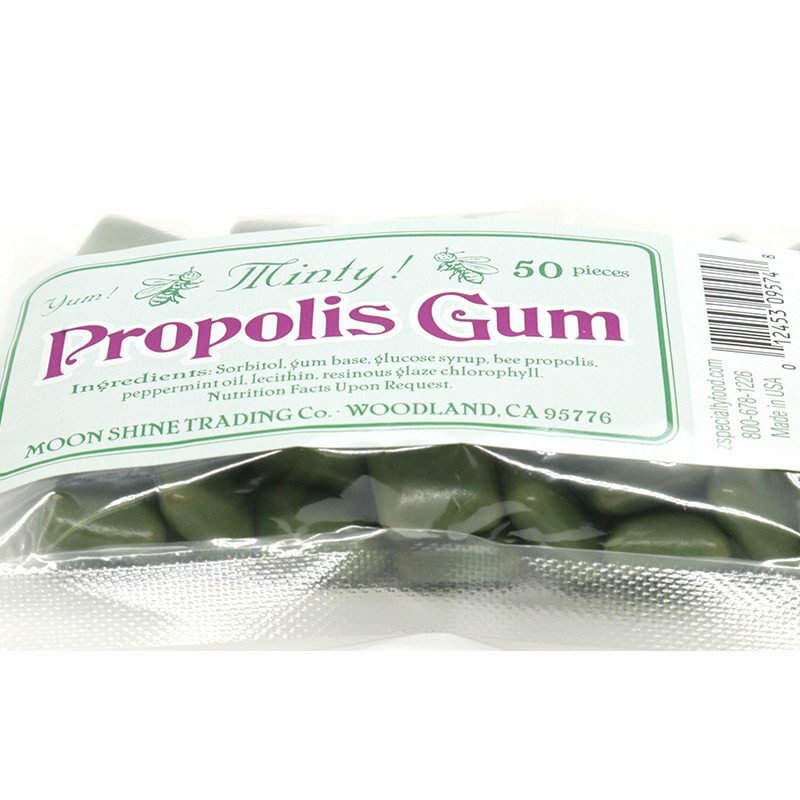 Propolis has been used for thousands of years for oral hygiene and is often used in naturopathic toothpaste. 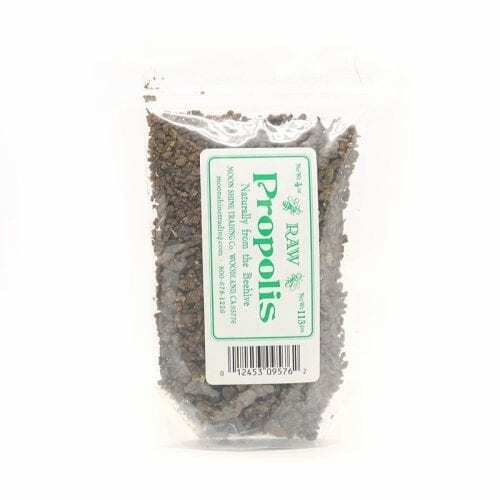 Propolis is a natural antibiotic. Yes, this chewing gum is actually good for your mouth. Each bag contains 50 pieces of gum. 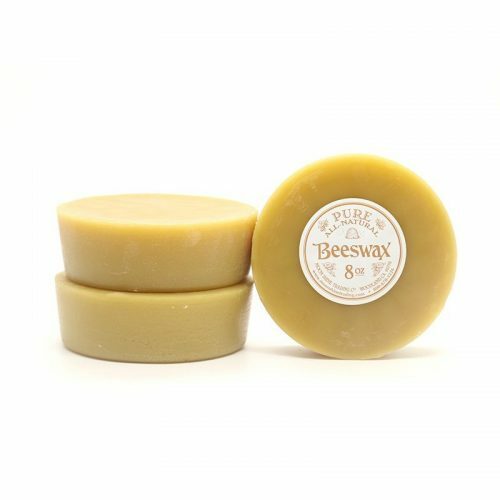 Propolis is a magical, sticky, gummy and resinous material collected by honeybees from the buds and bark of trees and shrubs. The bees use this material to fill cracks, fortify their hive and coat the entire inside to protect it from invasion. 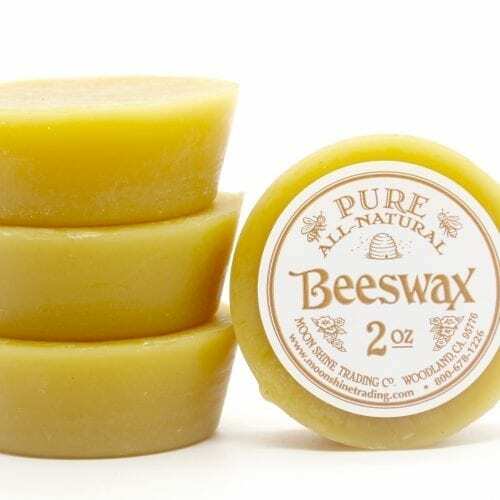 Similarly, when taken as a tincture, propolis will cover an infected area (sore throat, cut in the mouth, cut on the skin) with a protective coating while healing at the same time. In our office and warehouse, it’s a popular element in our first aid kit.